Breeding breakthrough because it is resistant to Septoria leaf spot, The foliage is thin, fuzzy and shows no signs of fungus even in wet or humid conditions, compact plant , produces a dome of yellow daisy flowers from summer through fall. Native and very easy to naturalize. All have yellow daisy like flowers with dark cone-shaped centers. 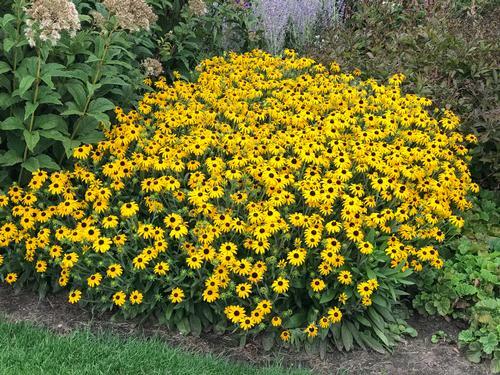 Excellent for mass color display in the sunny border.